La Colombe's Draft Latte Cans. This week the caffeine masters behind Philadelphia-based La Colombe Coffee Roasters will debut two new flavors slated to join the company's growing canned beverage selection. The new options aren't ready for the public, yet. So you will still be waiting a while before you can grab one at a cafe location or grocery store. Instead, the flavors will be featured at the Natural Products Expo West – an entire expo dedicated to organic items – which kicks off Thursday in California. 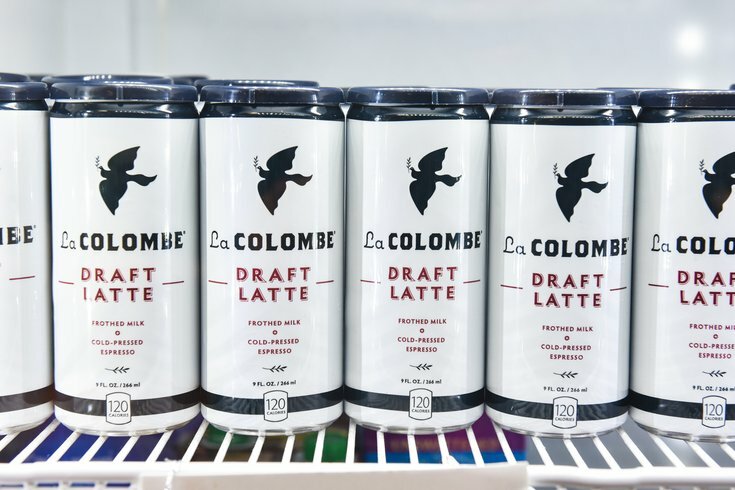 La Colombe’s new drinks at the expo will reflect the previously proclaimed winners of the 2017 “Craft the Next Draft” campaign, where customers got chances to submit ideas and vote online for new flavors. So what are the next draft latte flavors we can expect? Snagging second place in “Craft the Next Draft” was Brazilian Caramel, which La Colombe promises will offer a frothy layer of foam and real caramel. The first place in the campaign went to the Honeysuckle Draft Latte, which will feature frothed milk, a shot of cold-pressed espresso, and natural honeysuckle extract. Third place in the campaign was the Hazelnut flavor, which will not be featured at the event. There will, however, be a new ready-to-drink coffee can there: the 100-percent, USDA-certified, Pure Black Colombian Organic Cold Brew. The lightly roasted coffee is brewed for 16 hours. “At the core of La Colombe is innovation,” Todd Carmichael, La Colombe’s CEO and co-founder, said in a statement. Stay tuned on when you can expect to find these to-go drinks in stores. In the meantime, La Colombe’s flagship location in Fishtown does have one new, immediate offering: drinks from Baltimore-based Wild Kombucha (so, not exactly the same effects as coffee). The fermented tea brand has been looking to expand to Philly for a while and will be officially available in Fishtown starting Thursday.